Life has a way of offering little surprises that offset so many of its disappointments. 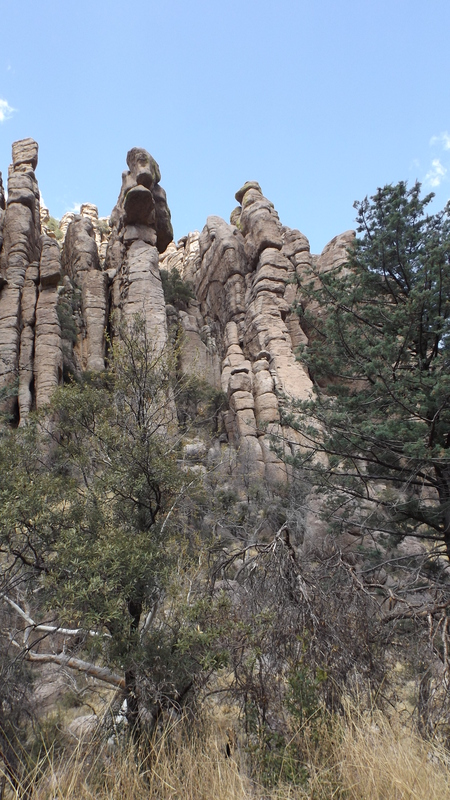 This place, the Chiricahua National Monument, is one of them. If you read us fairly often you likely know that we felt the Guadalupe Mountains National Park is a disgrace to the Parks System. 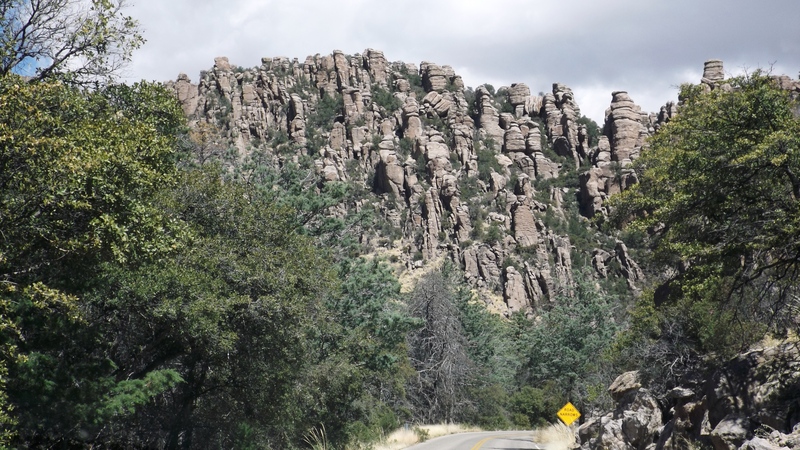 Chiricahua is everything Guadalupe isn’t, and it should be a National Park. It’s located about 35 miles southeast of Willcox, AZ at the confluence of four distinct ecosystems. This translates to a great diversity of plant and animal life. It begins at just below 5,000 feet elevation and climbs to 7,000. 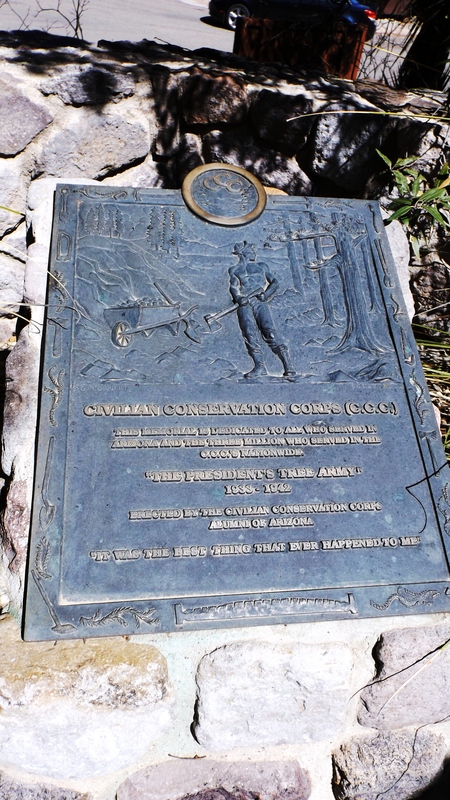 There are good roads built 80 years ago by the CCC and carefully maintained since then. There are dozens of trails ranging from paved to murderous. It’s accessible nature for us all. 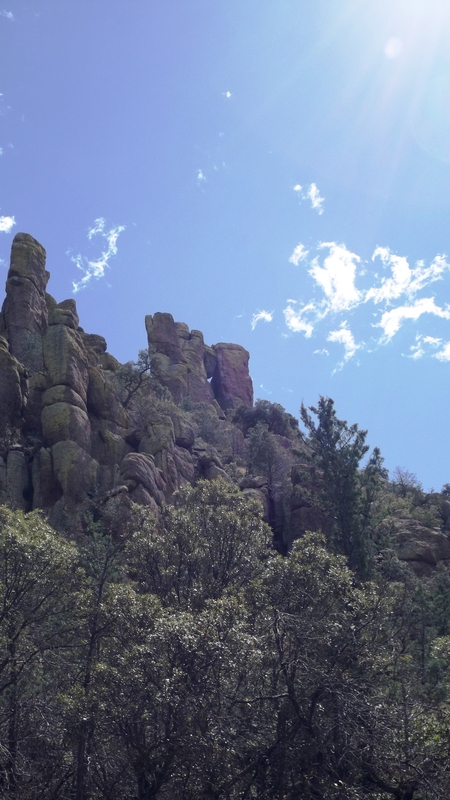 There’s more to Chiracahua than just mountains and an intermittent creek that somehow supports a cool dense forest of scrub oaks and conifers. 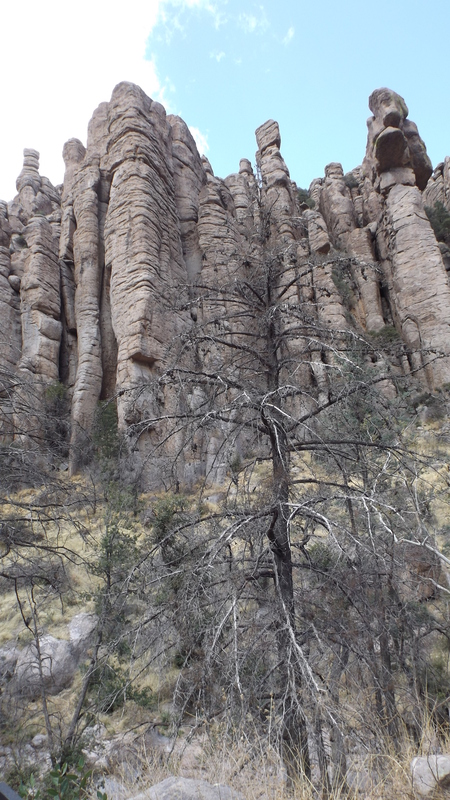 The Apaches called it “The Place of Standing Rocks” for its most unusual geographical feature. This part of the country had a big volcanic event about 27 million years ago. Pressure built underground, then exploded blowing molten lava, white hot dust and ash over hundreds of square miles to a maximum depth of 2,000 feet. The rocks which remain balanced impossibly atop rock column have been left there by 27 million years of wind, water, and ice erosion. The strongest rocks have held fast; the softer ones dropped off and washed away. You will see boulders big as a house, mostly already out of the side of the mountain, and while you know it’s been there forever, you get a sense that someday gravity’s pull will tire out the mountain’s grip and 50 tons of trouble will come tumbling down to crush everything in its path. We saw many cars drive by those big rocks, but we saw no one posing beneath one to create an image for his website. Rocks and Clouds; Wish You Could See the Lichens on Those Rocks! Among the novel life forms were lichens on rocks, thick enough to see from miles away. Imagine: lichens in a land as dry as this. We hadn’t seen real trees since central Texas, but they are plentiful here. 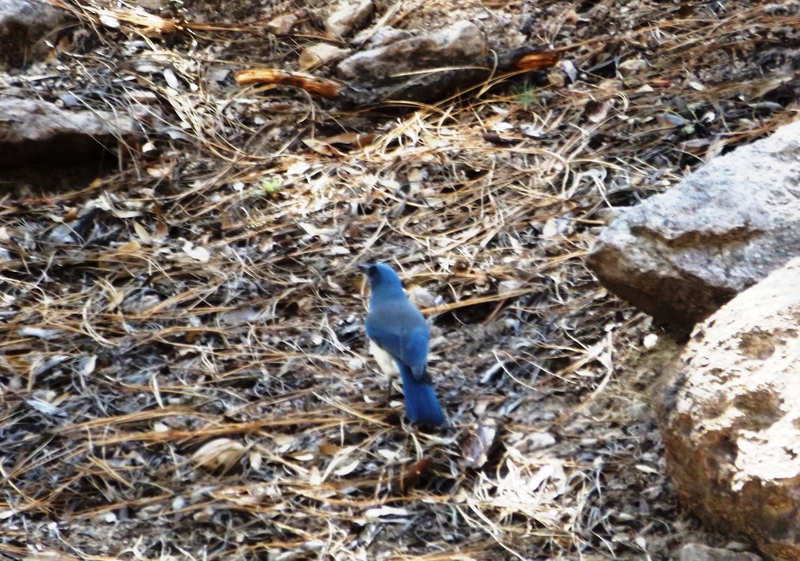 We spotted a new life list bird, the Mexican jay, actually a noisy flock of them. They apparently scavenge garbage and picnic sites around the Bonita Creek campground. Like jays everywhere, they were quarrelsome, mischievous, and beautiful. Such an amazing area of the country. During the late 70’s, when Ken was in the military, we were stationed at Ft. Huachuca. We lived there almost three years and absolutely loved the climate and natural beauty. Be sure to visit Tombstone and Bisbee if you have time. Passed thru Tombstone and did not stop … looked pretty commercial in that Rock City manner. Have been in Bisbee the last couple of days. Had local TexMex at Tachos Tacos and today a burger from Bisbee Breakfast Club. Visited a couple of good art galleries and tried to do brewery tours today but no soap on Monday or Tuesday.